The Eye Drop that we offer is formulated under the supervision of the experts and is sold under the name of Cineraria Maritima Repl. 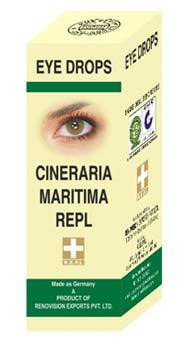 The Eye Drop that we manufacture, export and supply gives relief to the eyes from tiredness, itching, etc. Moreover, we are one of the renowned Manufacturers, Exporters, and Suppliers of Eye Drop.